Now you can have green eggs and ham. If you purchase an Olive Egger day old chick or pullet, your bird will most likely arrive with a leg band on the leg. Please inspect all chicks and pullets upon arrival and remove the leg bands. They will out grow the bands. Olive Egger chickens can be blue, black or splash in color. 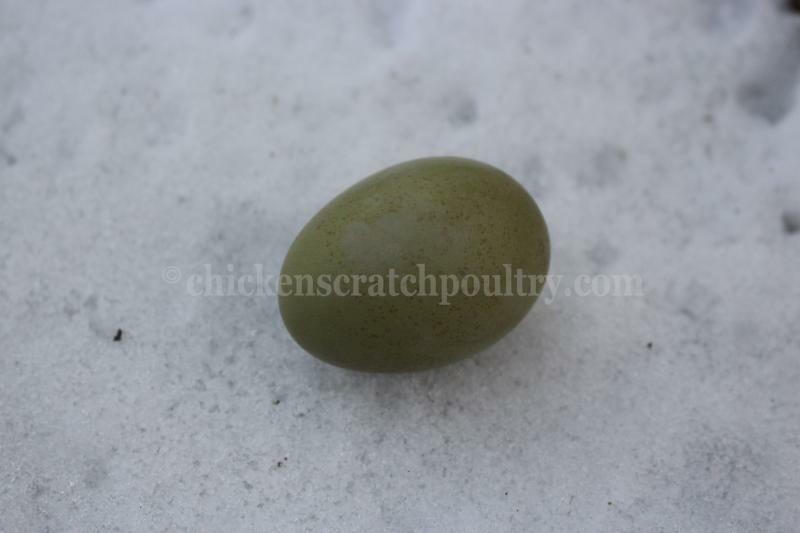 Olive chicks are $10 each, all chicks are sold straight run, Started pullets are $40. Hatching eggs are $7 each, to purchase hatching eggs please contact us to place an order. Please read the hatching eggs page before palcing an order. We can vaccinate your day old chicks for Marek's at $2 per chick. We can vaccinate your pullets for Newcastle Bronchitis at $5 per pullet. Newcastle Bronchitis has been found in California, Nevada, Arizona, and Texas. Minimum order of 16 chicks, you can mix the order. If you would like fewer than 16 please contact us for information. What an interesting egg you get with this bird, an egg that people say "oh my is that real". The egg really is as green as an olive. Kids love them and want to have green eggs and ham, just like Sam I am. The inside of the Olive Egger egg shell is just as pretty as the outside. The inside of the shell is blue and the outside olive green, so interesting. Don't be fooled by what the big hatcheries are selling as an Olive Egger. 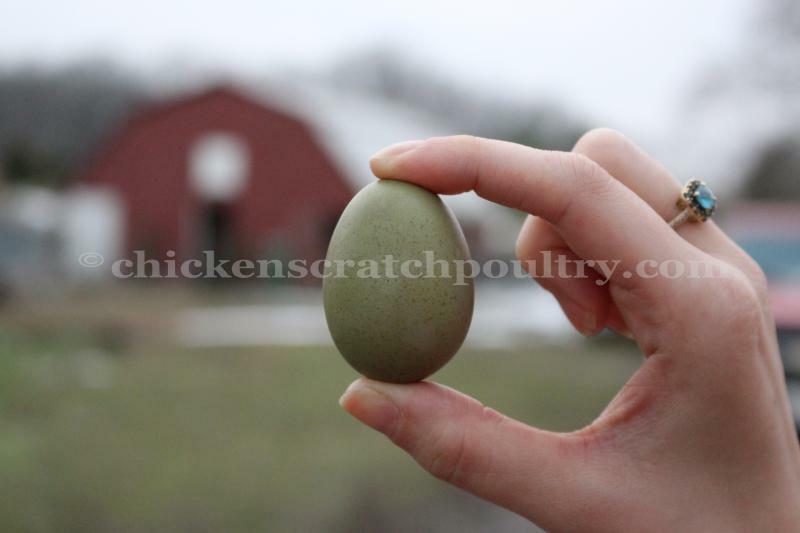 Our farm created the Olive Egger over 11 years ago as a fun experiment. 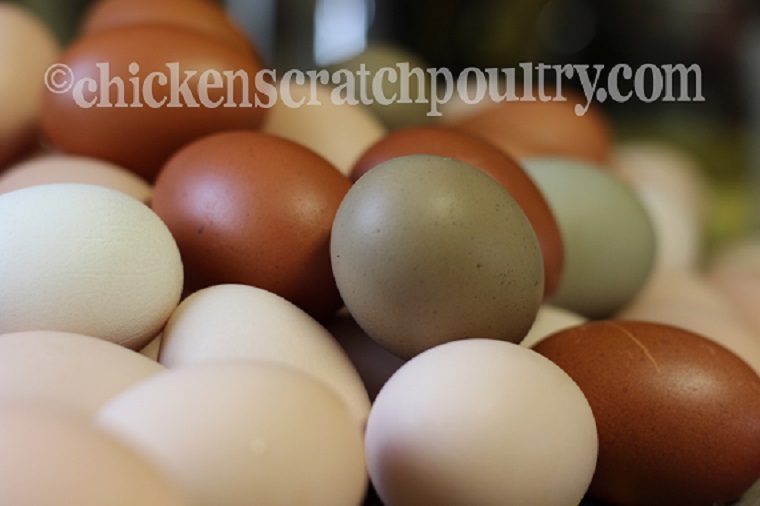 This very interesting breed has now been copied by every farm and big hatchery across the US but don't be fooled, they do not get the rich dark green egg color that our birds produce. How do I know this? I speak to the customers... Because the large hatcheries do not begin with good breeding stock, they do not get the color correct.